Robert V. Newman Jr. (Bob), age 64, of Winsted CT passed away peacefully at his home in Tampa, FL on September 8, 2017. Born in Wassaic, NY, February 23, 1953, he was the son of the late Robert V. Newman Sr. and Dorothy Hanley Newman. 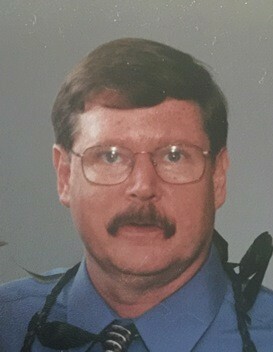 Prior to his passing he worked as a Security Guard at Tripler Army Medical Center and St. Francis Hospital in Honolulu, HI, and The Brunswick Corporation in Torrington, CT. Bob also became a CNA and was employed by the Southbury Training School for several years. He was a veteran of the US Army who served from 1972 – 1976 and was stationed out of Fort Riley, Kansas. Throughout his life he had always had a passion for Martial Arts in which he obtained a Black Belt in Karate, and he had a love for Classic Cars. His survivors include his sister, Marlene Creer and her husband Steve of Castle Rock, CO. He had 2 daughters, Dawn Royer, Erica Schroeder (Michael) of Torrington, CT, 2 step daughters Norine Baker (Bobby) of Wahiawa, HI, and Heidi Magalianes (Jr.) of Haiku, HI. He had 8 grandchildren, and 7 great grandchildren.The family wishes not to have calling hours; however a graveside service will be held on Saturday, October 14, 2017 at 10am at St. Joseph Cemetery, Torringford St., Winsted, CT. In lieu of flowers a memorial contribution in his name may be made to the American Cancer Society.